One of my favorite parts about owning this strange and spooky site is scrolling through all the search engine terms that people use to find it. For the most part, the words and terms are what you’d expect: “strange and spooky stuff”, “Tokoloshe”, “Weird Ohio”, etc. But every once in a while, a search term pops up that leaves me thinking “why would someone type that into a search engine…and how did they end up on my site after typing that?” And when I look at see that in some cases, more than one person has typed in that same exact phrase, well, that’s just crazy talk! 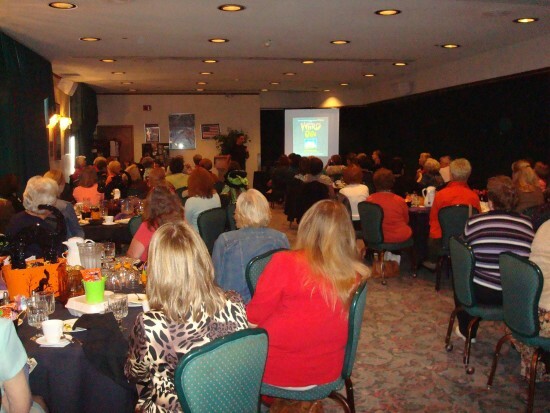 Specifically, I’d like to offer up one of my ever-popular presentations (ghosts, weird stuff, hidden messages in movies and music, Is Paul McCartney really dead, you name it) free of charge to an Ohio-based non-profit organization to use as a fundraiser. Specifically, I’m interested in an organization that deals with anti-bullying or abuse. I’ll be honest with you, I’m not good with math, so it will be up to the organization to handle ticket sales and things like that. But I do know that I can promise you a rather large audience that I will attempt to captivate with my wacky antics. So everybody wins. If you’re interested, please feel free to contact me at jim@strangeandspooky.com for more details. And please feel free to pass this information along to anyone you think might find it useful. Come Heckle Me Thursday Night! 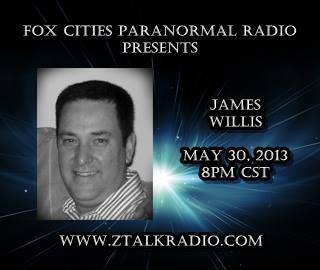 This coming Thursday, May 30th, I will be taking part in a live interview on Fox Cities Paranormal Radio. What I will be talking about is anyone’s guess, but I’m sure it will be weird, strange, and perhaps even a little bit spooky. So feel free to give a listen live and, if the mood strikes you, call in to say hi…or just heckle me. The live broadcast can be found here. 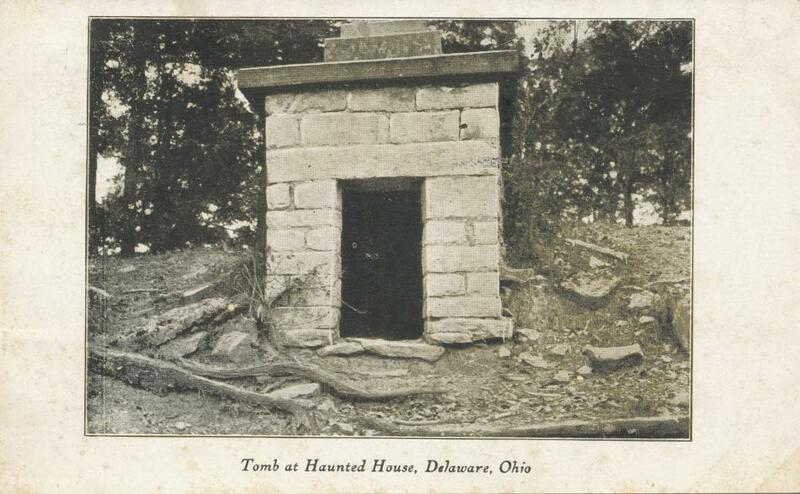 Know Where These Spooky Places Are? 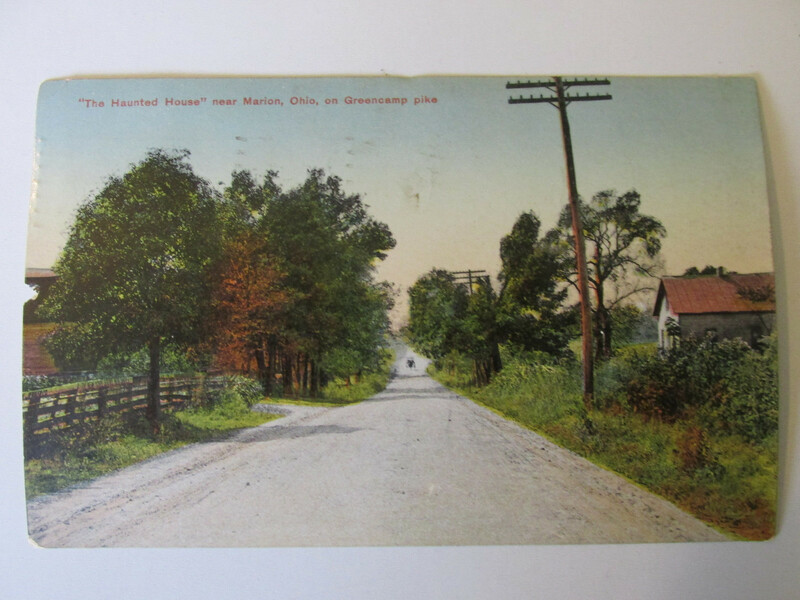 From time to time, while I’m out and about looking for new stuff for the Strange & Spooky Museum, I’ll stumble across a strange postcard that claims to be depicting a haunted location in Ohio. The problem is that most of these cards offer very little in the way of directions, history, or even location other than sometimes listing the city. On top of that, most of these cards end up having been produced locally by photographers and artists who basically just slapped the image on a piece of heavy paper and proclaimed it a “postcard”. All of which makes it rather hard to pinpoint exactly where these pictures were taken. I, for one, would love to see if anything from these images has survived and can still be seen today. So here’s where you guys come in: any idea where the images from the following postcards are from? Very little else to go on with this postcard. The back of it was badly damaged and only the place for the stamp was legible. On the back of this card, the company is listed as “Evans Postcards, Delaware, Ohio” and gives the photo credit to “Hutchisson”. The postmark on the card appears to be from 1911. So how about it? Know where either of these places are (or were)? If you do, feel free to leave a comment here. Or, if you’re the shy sort, click here to find out how to contact me privately. 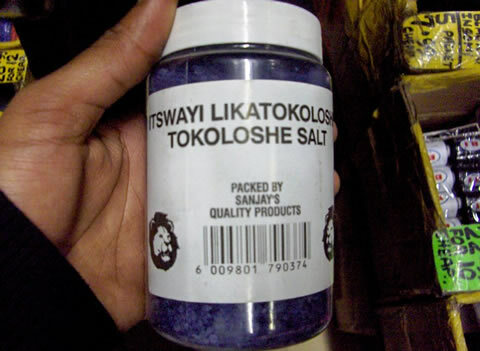 For those of you who still scoff at the idea that there are people who truly believe in the Tokoloshe, consider this new product that has started popping up on shelves in South Africa: salt designed specifically to help you tame a Tokoloshe, even if that Tokoloshe is literally hiding out inside you. 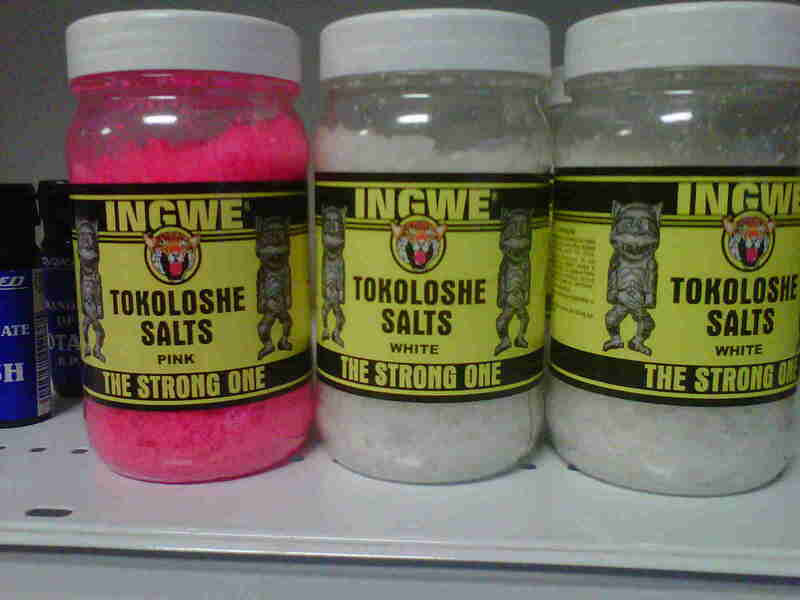 According to South Africa’s News24, this Tokoloshe Salt is not really new. It popped up in the 1950s and was said to be able to not only help you ward off a Tokoloshe attack by simply hurling the salt at the creature, but that by ingesting just a small portion of the salt, you could control a Tokoloshe that might be lurking inside your very body. The salt was very popular for a short period of time, so much so that it was available in a variety of colors. Its popularity waned, though, to the point where potential buyers would only occasionally come across a dusty bag of it sitting on a shelf. All that has changed in recent times, however, with reports of Tokoloshe Salt once again being in high demand. Shopkeepers have reported not only more and more people asking for it, but also their ordering more stock in order to keep up with that demand. This all leads to one conclusion: real or not, there are certainly a lot of people out there who believe in the power of the Tokoloshe. You can read the full News24 article on the Tokoloshe Salt by clicking here. If you want to peruse all the articles about the Tokoloshe that are lurking here on this blog, click here. 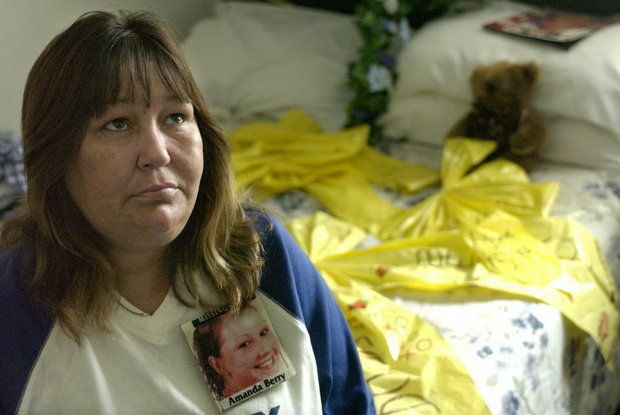 Even if you’re not from Ohio, chances are that you’re already familiar with the bizarre case involving three young women–Amanda Berry, Gina DeJesus, and Michelle Knight–who all went missing almost a decade ago. Incredibly, on May 6th, 2013, all three were found alive in Cleveland, apparently having been kidnapped and held prisoner by one man all this time. The case is still unfolding with new, disturbing facts coming to light on an almost daily basis. But the case took a rather weird and unexpected turn when it was revealed that one of the young girl’s mother had at one point reached out to a well-known psychic in an attempt to find her daughter. 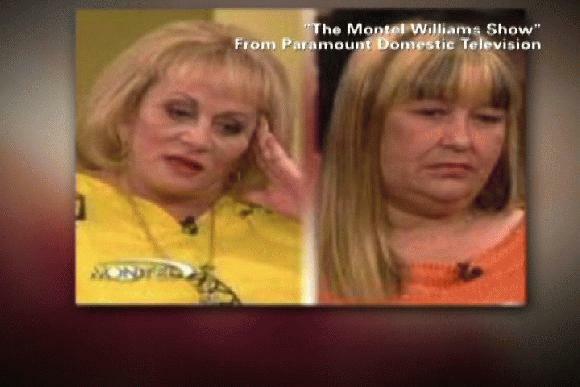 Back in 2004, Amanda Berry’s mother, Louwana Miller, appeared on the Montel Williams Show in an attempt to get closure on her daughter’s case by asking psychic Sylvia Browne if she could provide any additional information. The segment, which first aired on November 17th, 2004, began with a taped introduction during which Miller gave a brief overview of the case. After which, Miller was introduced to the live studio audience and she, Montel Williams, and Sylvia Browne began discussing the case. Miller: Can you tell me if they’ll ever find her? Is she out there? Browne: She’s…see, I hate this when they’re in water. I just hate this. She’s not alive, honey. And I’ll tell you why, here we go again. Your daughter was not the type that would not have called you. The remainder of the brief conversation centered around some vague references to potential suspects, as well as the jacket that Berry was wearing the night she disappeared, which Browne said she saw “in a dumpster” and that it had “DNA on it”. Montel then asked for another person who had a question for Sylvia Browne to step forward and they moved on to another case without ever clarifying exactly what Browne’s “in water” comment meant. For more than 50 years as a spiritual psychic and guide, when called upon to either help authorities with missing person cases or to help families with questions about their loved ones, I have been more right than wrong. If ever there was a time to be grateful and relieved for being mistaken, this is that time. Only God is right all the time. My heart goes out to Amanda Berry, her family, the other victims and their families. I wish you a peaceful recovery. As can be expected, the post (and her Facebook page) quickly fell under attack from people calling Browne all sorts of names and demanding answers. As of this writing, Browne’s Facebook page was down. Regardless, I’m sure we haven’t heard the last of this story. As I stated earlier, I am so relieved that Amanda Berry and the other women have been found and are safe with their families. Of course I do feel very bad telling Amanda’s mother on the show that I believed her daughter was not alive, and I’m so so glad that I was wrong. I had a vision of her being held underwater, but I had interpreted it to have a different meaning. She was not being held under water but was being held down. You can read the entire November 18th, 2004 Plain Dealer article by clicking here. Portions of the transcript from the November 18th, 2004 show can be read by clicking here. It has only been a few days since this whole Cleveland Kidnap story broke and my inbox is already filled with people asking when I’m going to cover it for my Ohio News of the Weird. Long story short, for the most part I will not be covering the case. The reason for this is that I developed ONW to cover Ohio-based news stories that were offbeat, weird, and perhaps a bit silly. If there was a paranormal angle to it, all the better. But by and large, the stories associated with ONW are written a bit tongue in cheek or with a sarcastic tone. Based on the news coming out of Cleveland, this case is simply too dark and depressing for ONW. Like most of us, I will be following the case on the local news and watching as it all unfolds. It just doesn’t seem appropriate to cover it here at ONW. But that doesn’t mean I won’t be covering certain aspects of the case at ONW. Case in point, there’s a story breaking about a well-known psychic who, almost a decade ago, went on national television and made some rather bold (and incorrect) statements about the case. So stay tuned! You would think just the fact that goldfish were discovered inside an underground tunnel beneath a nuclear power plant would be weird enough, right? But there’s more. 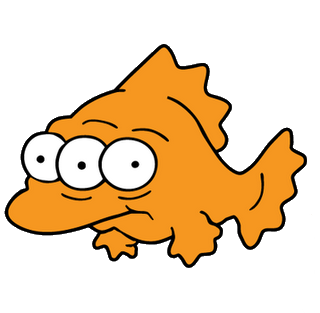 Apparently, workers at the Perry Nuclear Power Plant were dismantling scaffolding in a portion of tunnel normally off-limits when they discovered two goldfish swimming around inside a “juice pitcher” that had been left in the secure area. The reactor had been shut down for routine maintenance, so the fish did not post a safety concern. 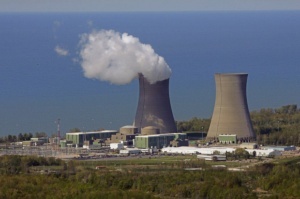 Still, Jennifer Young, a spokeswoman for FirstEnergy Corp., felt the need to state the obvious to the Associated Press: “This is not behavior that’s acceptable.” Young also hinted that officials might be reviewing security tapes from the area to see if they can identify the person or persons who left the fish and how they managed to get inside the secure area. As for why they might have chosen to leave a pair of goldfish swimming around inside a juice pitcher, that answer might only come to light after years of therapy. Concerning the goldfish themselves, they have both since died, although a spokesperson said it was more than likely from “lack of care” rather than (get this) the fact that the fish “were swimming in reactor water.” Tests run on the fish found that they had only slightly detectable radiation levels. No word yet how many eyes each goldfish had or if they were related to everyone’s favorite nuclear power plant fish. Blinky. So far, both fish have only being described as “the type won at a carnival”. You can read the entire article from the Columbus Dispatch by clicking here. Sadly, an integral part of the Athens Lunatic Asylum has been reduced to rubble. Built in 1924 atop a hill overlooking the Athens Asylum cemetery, the structure known simply as Building 26 was originally designed to house patients suffering from tuberculosis. Over the years, the building would serve several other uses, including being used as classrooms for the Beacon School in the 1970s. Once Ohio University took over the property in the 1980s, the facility as a whole was given the less-foreboding name of The Ridges and Building 26 was all but abandoned. It remained that way until early March of 2013, when it was leveled. Two of the three bricks (the two on the bottom of the “pyramid” in the picture above) were taken from the brick drive/path leading to the front door. 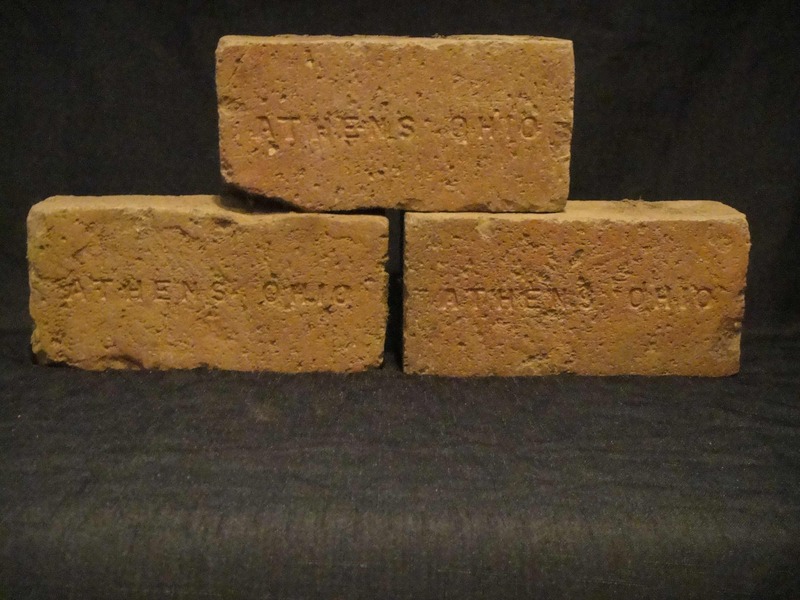 The remaining brick is from near the enclosed porch on the back of the building. It was during the time when it was abandoned that Building 26 began gaining a reputation for being haunted. Having been (legally) inside the building many years ago on several different occasions, I can honestly say that, while it certainly felt creepy, I didn’t experience anything out of the ordinary. To me, it was just a spooky old building. More than once, I tried to dig deeper into the ghost stories surrounding the building, hoping to find a single nugget of truth to them. But I was unable to find anything to substantiate any of the stories. As for the stories themselves, they never progressed past the vague urban legend-like tales of disembodied voices, shadowy figures, and the occasional scream coming from within the building. The Athens Messenger has more information about the demolition of Building 26. Read all about it here. To see all the other memorabilia related to other buildings that have met a fate similar to Building 26, visit the No Longer With Us wing of the Strange & Spooky Museum.